We have a great team at Advanced Dental. Hunter Robb is a 1997 graduate of Otago Dental School. 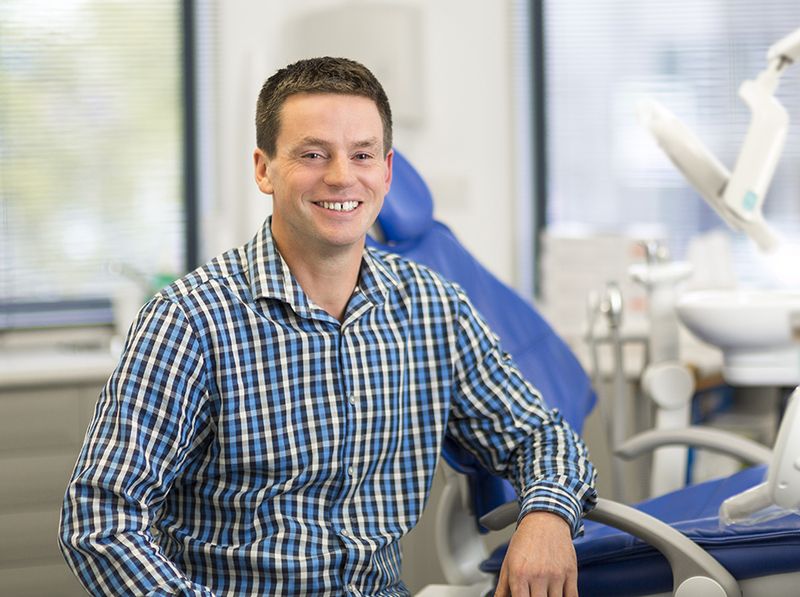 After a residency at Wellington Hospital as a dental house surgeon, Hunter spent 3 years in Britain working in general dentistry and 1 year in Australia as a flying dentist. He joined the staff at Advanced Dental in January 2004, and brings with him a gentle manner and a great sense of humour. In 2008 Hunter became a principal at Advanced Dental. Anice is the Dental Assistant for Hunter. James Marshall is a 1995 graduate of Otago Dental school. James became a Principal in 2002 after a short stint as an associate in the practice. James is a popular dentist who offers the broad range of general dentistry to his patients. He is developing an interest in implantology. James is assisted by his two dental assistants, Robyn and Liezl. Samantha graduated from Otago University Dental School in 2010. After graduation she spent two years working at Whangarei Hospital as a House Surgeon followed by 3 years working as a Senior Community Dentist traveling throughout the Far North of New Zealand working with children, medically complex patients and in surgery. Samantha is happy to be back in the South Island where she enjoys the running tracks, skiing and water sports Nelson has to offer. Ben graduated from the University of Otago with Credit in 2009. After graduation he worked at Waikato Hospital in the Maxillofacial department followed by five years working in a private dental practice in Timaru and Christchurch. He enjoys practicing a wide range of dentistry and likes to keep up to date with new technology and advances in the field. For Ben the best thing about dentistry is getting to meet a wide range of people and help them to feel comfortable at the dentist. In his spare time he loves outdoor activities in particular mountain biking, tramping and running. Jin graduated from the University of Otago with a Bachelor of Dental Surgery with Distinction in 2017. After graduation, Jin worked at Nelson Hospital as a dental house officer, gaining invaluable experience treating medically compromised and anxious patients. Jin is now sharing her time between public and private practice and looks forward to providing comprehensive and gentle care to her patients. Outside of work, you can find her enjoying sunny Nelson on the walking tracks, or relaxing with a good book and a cup of tea in hand. Cherrie has practiced Dental Hygiene in the UK, South Africa, Canada and NZ. She has always had a passion for health and wellness and with her extensive experience and enthusiasm she brings a wealth of wisdom to her practice of Dental Hygiene.Cherrie enjoys connecting with people and helping them make informed choices for their dental health and likes her patients to leave feeling empowered, inspired and with mouth and breath fresh and renewed. Cherrie's patients describe her as gentle, caring, empathic, thorough and generally awesome! Jo began her career at Cardiff University Hospital training and assisting for three years in every aspect of dentistry then went onto qualify as a dental hygienist from Glasgow University Dental Hospital. Jo was one of the first Dental Hygienists in New Zealand helping to found the N.Z. Dental Hygienist Association. Jo has worked first in England, mostly in Auckland and also throughout NZ. Jo has a very gentle technique but thorough approach to treatment, making sure patients are comfortable and happy. Jo believes in communicating and educating people to help them with maintaining a fresh, beautiful smile and the prevention of all dental disease. Rachael graduated from Otago University in 2016 with a dual-scope degree in Oral Hygiene and Dental Therapy. She worked for the Nelson DHB last year and thoroughly enjoys the combination of both scopes. Originally from Nelson, Rachael is happy to be back home with family nearby. She has two children who keep her very busy with a range sports and horse riding. Rachael's patients often comment on her gentle manner and uncomplicated explanations of dental diseases.